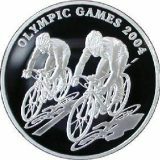 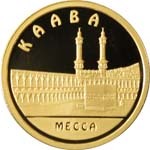 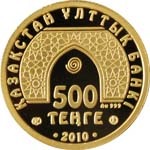 The coin has an oval shape. 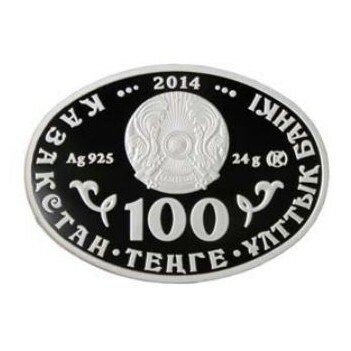 Obverse: the coat of arms of the Republic of Kazakhstan; an inscription «Ag 925 24 g.» means metal, standard of coinage and mass; an image of two national ornamental elements; an inscription «100 TENGE» means face value trade mark of Kazakhstan Mint. 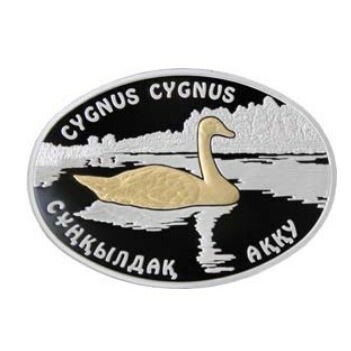 Reverse: gilded whooper swan; number «2014» means year of coinage and trade mark of Kazakhstan Mint; an inscription «Ag 925 24 g.» means metal, standard of coinage and mass; inscriptions «CYGNUS CYGNUS» in Kazakh and Latin – zoological name.